No motors in the bikes for pro peloton! 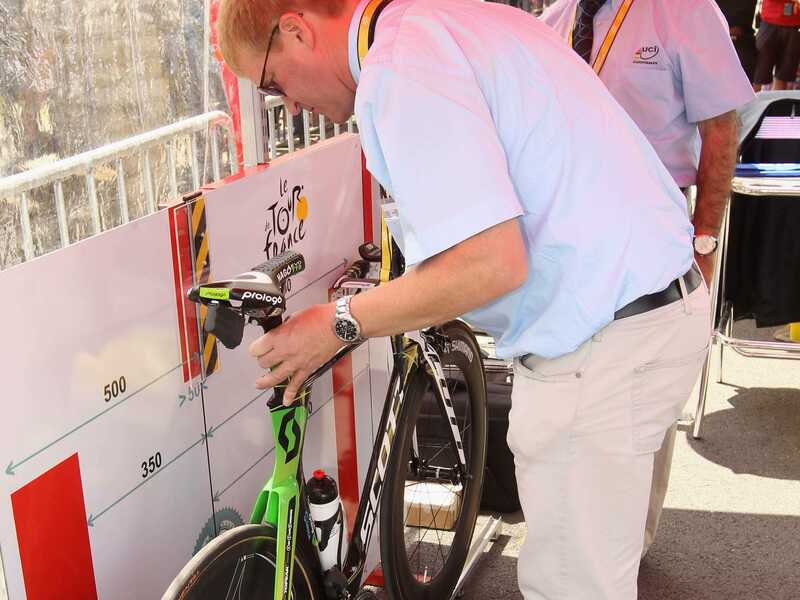 No evidence of "mechanical doping" in professional cycling hasn't stopped the Union Cycliste Internationale (UCI) from checking bikes during the Tour de France. "For years we've been taking this seriously by checking bikes at races," a UCI spokesperson said in a statement to Cyclingnews. "We've heard the rumors. The main fact is that we know you can buy such bikes on the market and restoring credibility in the sport is important." In addition to public grumbling from fans, the use of motors on regular pedal bikes has increased in recent years - and that has certainly caught the UCI's attention: "We know that the technology is available on the market. We've been making checks as we don't want this to enter professional cycling." After reporting a similar check a few days ago, the UCI inspected several bikes following an epic mountain showdown on Alpe d'Huez. Stage winner Thibaut Pinot (FDJ), race leader - and expected overall winner after today's stage - Chris Froome (Team Sky) had their bikes checked. It looks like the UCI, which checked bikes during Milan-San Remo and the Giro d'Italia, will continue to ramp up the number of random bike checks in the future.